We work on a collaborative model and build the team depending on the nature of each project. This helps us keep our ideas fresh, our styles innovative and our designs different. We like to get to know our clients and spend a lot of time on research for each project. For this reason we do not provide overnight design solutions. Our constant aim is to look at the longevity of the design and thus the brand. 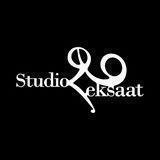 Studio EkSaat conducts classes in Commercial Interior Designers and Residential Interior Designers. It is located in Tughlakabad Extn, Delhi. It takes Regular Classes- at the Institute.